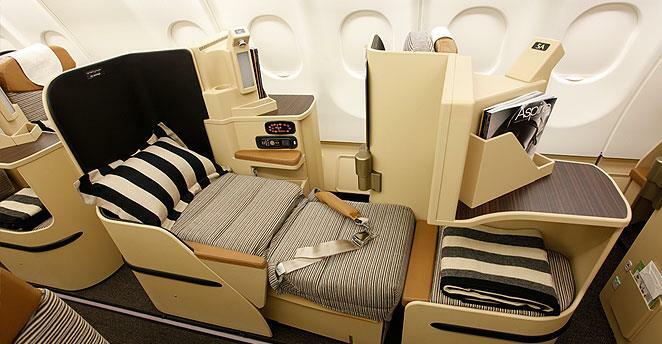 Despite the high costs in both points and taxes, Etihad remains an appealing and somewhat unique way to redeem Velocity Points thanks to its modern Business & First Class cabins. In this guide, we get into the details of how to redeem your Velocity Points with Etihad: costs, researching availability, and how to book. 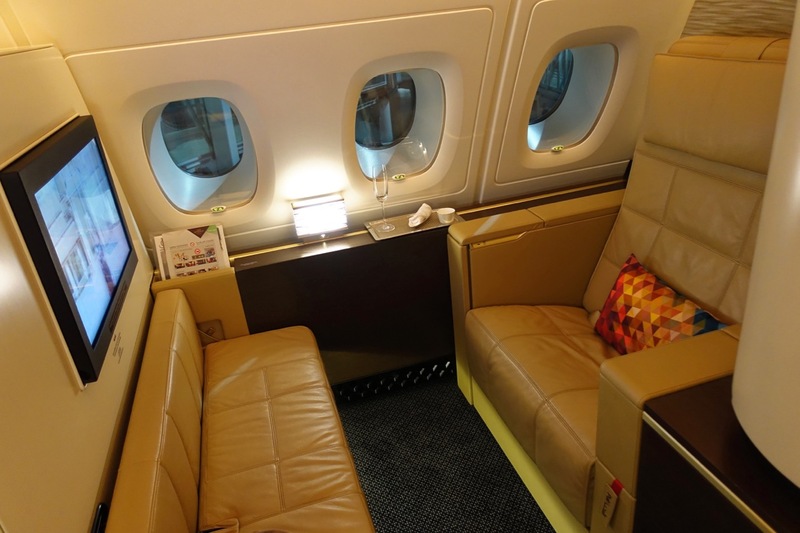 We also compare pricing to redemptions through Etihad Guest and American Airlines AAdvantage. When and why should you use your Velocity Points to travel with Etihad? Over the past couple of years, we have suffered a few changes to Etihad’s service and the way we can redeem Velocity points for Etihad Business & First Class—firstly, Velocity’s revision of its award chart increased the costs in points along with hundreds of dollars in additional fees. With tough competition from Qatar Airways but arguably more taste than the bling of Emirates, using your hard-earned Velocity points to experience their Business Studio or First cabins is still desirable—but how much depends on your preference for flying with Etihad. The primary use for Etihad redemptions would be to travel from Australia to Abu Dhabi and the Middle East, and then on to Europe or the US. In Australia, Etihad fly from Sydney, Melbourne and Brisbane (Perth was cut in October 2018). 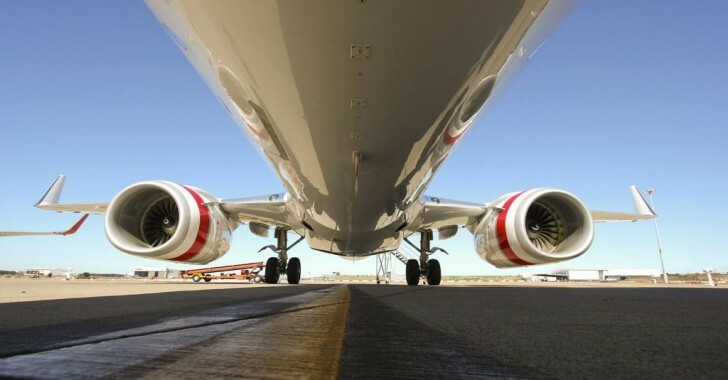 Sydney has two daily services, one served by the A380 and the other an older three-class Boeing 777. Hopefully, other services with Etihad’s new cabins will be next on the list, but the costs, tips and techniques in this guide to research availability still apply regardless of new aircraft or not. Etihad, of course, has a much wider network than just Europe, the Middle East, Australia and the US, but given the need for extensive back-tracking to get to Asia or additional hours flown to get to some African destinations, that is not the focus of this guide. 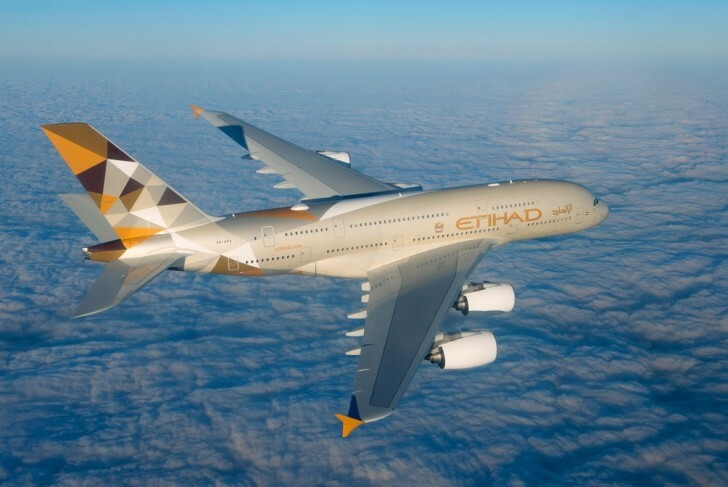 Ultra-long-haul flights like Etihad’s service from Abu Dhabi to East Coast Australia and the US are usually very expensive if paying by cash for Business or First Class. As a result, using Velocity Points for these flights still has some value, many with 24+ hours’ flying time coming in at 139,000/203,000 Velocity Points for Business/First Class. 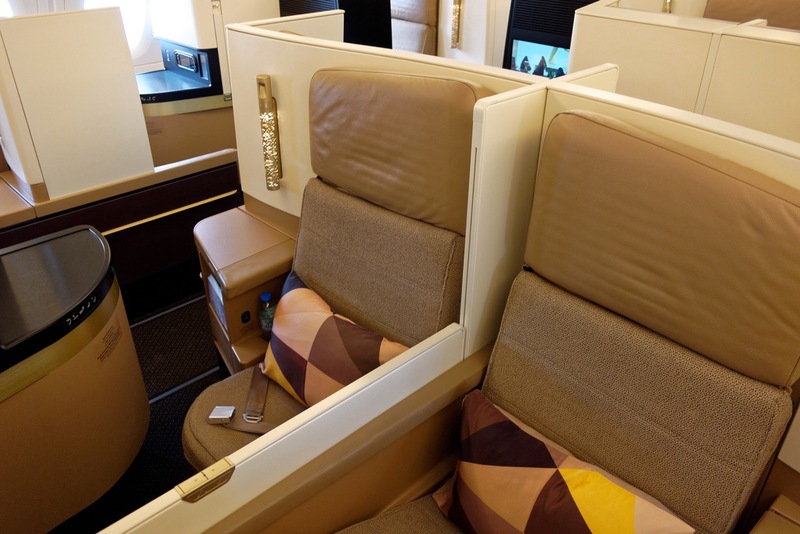 The other options for redemptions on Etihad flights are to use Etihad Guest miles, from Etihad’s own frequent flyer program, or American Airlines AAdvantage miles, which can be purchased in bulk and used directly on Etihad flights too. ^Some AAdvantage redemptions on Etihad flights between two different regions, e.g. South Pacific and North America, require booking two separate awards. Note that you cannot use your Velocity Points to upgrade Etihad flights. I have outlined how to redeem AAdvantage miles to Europe from Australia here, with Etihad being one of the key options. added to any booking using your Velocity points for travel with Etihad (except for itineraries departing from Manila). The killer piece to this change is that the charge applies per flight sector, not per booking. This means that a return flight to Europe in Business Class, with a transit in Abu Dhabi, costs an extra US$820 on top of the fuel surcharges for your chosen route; it is worse for First Class too, at US$1200. This is the biggest disincentive to using Velocity Points for Etihad flights. AAdvantage will usually always win when it comes to taxes and fees—they should be minimal. Etihad Guest charges substantial fees but without the additional surcharge imposed by Velocity. You can also redeem your Etihad Guest miles (but not Velocity Points or AAdvantage miles) for a flight in The Residence, which is a three-room suite on the A380 with bedroom, separate bathroom/shower and private butler. It will only set you back almost 2,000,000 Etihad Guest miles + ~AU$45 in taxes for a one-way flight between Abu Dhabi and Paris. The two primary places to search for Etihad redemption seat availability are Etihad’s own website and on Virgin Australia’s site, which shows both Etihad and Singapore flights. Once you’ve pinpointed your perfect combination of flights and dates, you can book online or you can call Velocity. It is well worth understanding the ins and outs of how to redeem your Velocity Points for Etihad flights. The 139,000-point top band for multi-flight redemptions in Business Class still offers some value compared to the other options out there for redeeming your points on Etihad, and given how many opportunities there are to build up your Velocity balance, these are fairly achievable goals. However, with the per-sector Etihad fees imposed by Velocity, you need to take into account both the cabin you are flying in and the number of sectors you are booking in order to calculate the true points + cash cost to you (and your travelling companions). Ultimately you need to question whether redeeming Velocity Points with Etihad is the best goal to aim for with your point balance. Etihad redemptions have many things going for them—often good redemption availability and excellent cabins, service and lounges—but you will be paying a premium to fly with Etihad when using your Velocity Points. The main alternative to Etihad redemptions, at least to Europe from Eastern Australian capitals, is with Singapore Airlines. From Western Australia, you could also consider Singapore Airlines as a logistically viable and cheaper alternative to get to the US. Glad to hear you enjoyed the experience. Unfortunately, you can only use Velocity points for upgrades on Virgin Australia flights—more here. I would recommend using your Velocity points to redeem a Business Class ticket on Singapore Airlines or Etihad. Thanks Matt. What about signing up with Singapore or Etihad, transferring velocity points to one of these programs and then booking upgradable economy ticket/upgrading to business? Can it be done? You can transfer your Velocity points to KrisFlyer but not to Etihad Guest. With upgrading tickets, most sale fares are ineligible and chances of upgrading are low, so I wouldn’t recommend that avenue. Here is some more info on maximising Velocity Status Credits by flying on partner airlines and using Velocity family pooling. 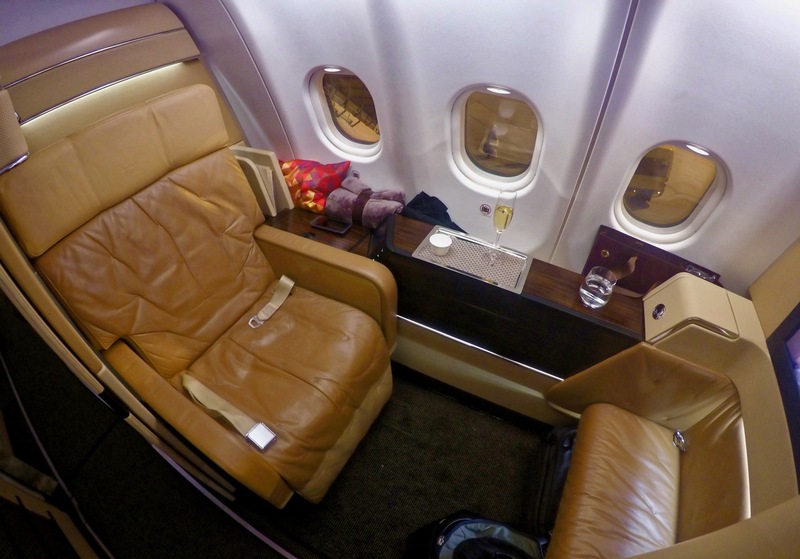 so what are the alternatives for the best points redemption for long haul Etihad First class? are these the best and cheapest way using credit card points?? The main three would be Etihad Guest, Velocity points and American Airlines AAdvantage miles. See more here. That’s a shame. I flew this route once in early 2016 and it was a great flight in business class. However Eithad killed their service anyway when they added the ludicrously expensive per sector charge to the booking, making the cost of a business class redemption prohibitive. I just did a search on Etihad’s site for a SYD – LDN flight in Business. The GuestSeat is 162,214 points + $355. Does this sound right to you? That would make it more point heavy than all the other airlines flying in the same cabin to the same destination. That sounds about right. It is more points-heavy, as you say. The upside is that the taxes are probably a little lower (not a lot, mind) than Qantas, for example, but availability is usually much, much better to key cities in Europe than with Qantas and Emirates. Alternatively you could redeem through Velocity but with high fees. At least there are some options. Keith, can you clarify whether I can use my velocity points to upgrade flights we already have with Etihad? We bought the cheapest economy flight tickets for trip from Brisbane to Paris and it would be brilliant if we could use points to upgrade. With this strategy am I upgrading through velocity or Etihad? I was under the impression that it is not possible for me to upgrade to business with velocity if I’m not a platinum member, I don’t fly enough to become a platinum member. Hi Craig – this is for outright redemptions, not upgrades. You could be redeem through Velocity or through Etihad, but you’ll need to have points in either of those programs. Status doesn’t really matter, just that there are available seats to redeem for. As long as you aren’t stopping over in Abu Dhabi for >24 hours then it’s one redemption, not two. Have booked a reward flight business to Abu Dhabi. In the inclusions and exclusions area it said no lounge access is provided. However, when I called the membership services line they say it is provided. Have you had any issues with lounge access for Business Reward? Lounge access should be included with Business Class reward flights, yes… although limo transfers are a bit hit and miss I think. I travelled business reward flights using VA points to Munich (and departed from Paris) and had no problems using lounges and limo’s. Call Etihad to arrange the limo as this could not be done online. Hope this isn’t too silly a question, but is it only the GuestSeats – e.g., GuestBusiness and GuestFirst that can only be booked for 139,00 and 203,000 VA points? noticed the following when looking to change some award flights one economy and one business, was checking availability on Virgin site along with Edihad guest. On the Virgin site (I dummy check every date across a couple months) no availalbilty would show up for Fri/Sat flights and the odd thursday even though on EY site it would show 5+ seats availalbe, however calling call centre they could see and book fri/sat flight, ie when I changed my flight I booked a Friday departure than wasn’t showing availability on Va site. Now I haven’t rebooked this flight yet( to far ahead dates haven’t opened up yet) but when I was talking to call centre about Frankfurt I informed them of the availability issue on website (weren’t sure why). 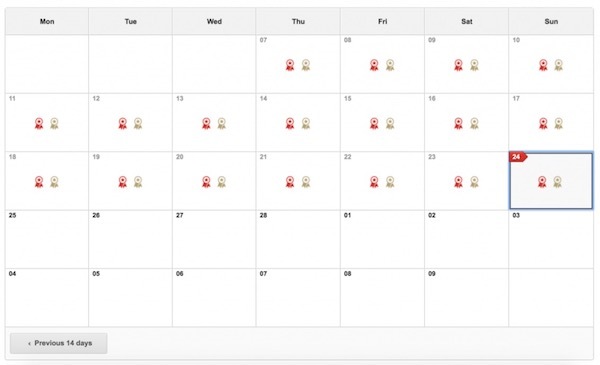 They agreed to just take a look at some days (Sat-Mon) that weren’t showing as availalbe on website and see if they showed availalbility and yes that could book for any of the dates they checked. The thing is when I come to change dates for the Zuh-syd flight I’m look to fly Sun/Mon, I have to do it through call centre anyway but checking website is just going to say nothings available. If I was doing a new booking and trying to book throguht website it would be one of those situations of ringing the call centre and getting the $60 fee waivered due to the fact that whilst I should be able to book it myself the site won’t let me for a date/flight that is actually available according to VA. Anyone else come across this before? Great article, I have heaps of Qantas points, can I redeem them on other airlines, through their websites? You can redeem them on Qantas partner airlines but through Qantas – either on Qantas.com or over the phone. I’m trying to book Melbourne-Dublin first class but when I go on the etihad website it says I don’t have sufficient points. I have enough velocity points but unsure how to bring that up on etihad site. You have to book Etihad First Class using Velocity points over the phone as it won’t show on the Velocity site. But you can research availability (look for “Guest Seat”) on the Etihad website, and then call Velocity to book, ignoring the Etihad pricing. We are flying to the UK with Etihad later this month. We are members of Velocity and Etihad guest. 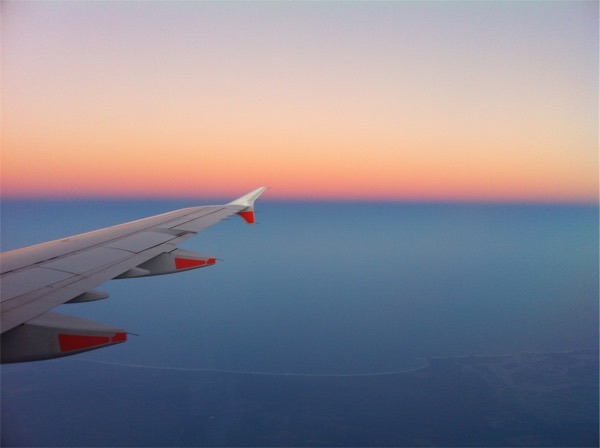 With regards to points which airlines frequent flyer number is the most economical. I looked at points required for Etihads business redemption and this seems a lot more than points required by Virgin. Also on our first flight with Etihad we credited our points to Velocity and seemed to get many more points than we did the next time with Etihad. I know if we take the points for Velocity we will then not reach our Gold Status, but in terms of flights being Gold does not seem to offer that much. Where would you accumulate the points, with Etihad or Virgin. Yes, on a point per point comparison basis Velocity will yield better value normally than using Etihad Guest miles. Etihad Guest earn rate for flights, especially during bonus promotions, can be more lucrative (but not usually for cheap Economy fares). Gold is handy for lounge access, but you should check with each program with your specific fare and see how many points you’ll earn to compare. Nice one. Yes, you’ll get lounge access as if you were on a paid business ticket. Thanks Keith. On Virgin’s booking tool I can only see Business seats. Ah, of course. Use the Etihad site and an Etihad Guest account to search for availability, and then give VA a call to redeem, it should hopefully match. Or give them a call and your dates and get them to do the hard work. Thanks! Is it possible to book Etihad routes not offered on the Virgin Australia website with Velocity Points (e.g. Sydney to Sao Paulo)? Absolutely! Just have to be done through the call centre. Just a heads up that yesterday I called Virgin to book BNE-AUH-JFK and was only allowed to book the 10:20am AUH-JFK EY101 connection as one sector with the BNE-AUH leg, as it is the “designated connection”. I originally wanted to spend a day in Abu Dhabi and take the following days 2:55am EY103. However they would have charged this as two separate flights. Interesting – seems like they must only long connecting flights in that 24 hour window if a sooner one isn’t available. Did a search for F award ticket on EY A380, ex SYD to AUH and vice versa. No availability even ~350 days in advance. Thanks for a helpful guide. Great article. How do you book the First Apartments using Velocity points? Hey Adam – First apartments are researched and booked in the same way as Business Studios, just cost more.